Only ingredients that have gone through the vigorous certifying process can give you peace of mind that what you are feeding your pet is completely safe. 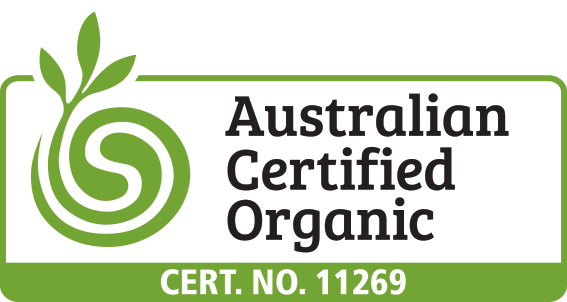 Our ingredients have been certified through the Australian Certified Organic (ACO). This means that at every stage our ingredients were raised, grown, slaughtered, harvested, packaged and transported, they were thoroughly monitored and assessed by the ACO to ensure they were done so without the use of chemicals, synthetic hormones, antibiotics, toxic fertilizers, pesticides, bioengineering (GMO’s) or irradiated. Only approval from a certifying body like the ACO can ensure such purity of ingredients. Products that claim to be “natural” or “real” or using “human grade ingredients” have not been subject to an independent third party assessment conducted by an organic certifying body and therefore the consumer has no assurance that what they are feeding their pet is really safe. The only way you know you are getting organic food is through organic certification.